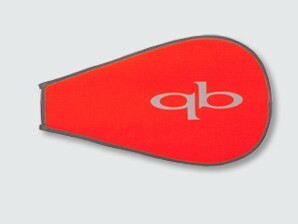 Durable QB SUP blade cover to fit all sizes 8.3" (90 sq. inch), 8.7" (100 sq. inch), and 9.00" (110 sq. inch). Potect your blade from UV rays, and other outdoor elements to ensure lasting paddling fun!